I have the peace of mind knowing that my husband is safe, fed, involved and treated with respect by the well-trained staff. I am so relieved and thankful to have Westminster in my life. We bring more than 25 years experience to programs designed to meet the varying needs of older adults. Participants of our Adult Day Services enjoy the freedom of choice, making everyday a unique and fun experience. Caregivers appreciate knowing their loved ones are safe and secure while participants enjoy the interaction that comes with sharing their day with us. Unlike other adult day programs, wholeness of body, mind, and spirit is at the very heart of what we do. Because no one person is the same, participants will enjoy amenities catered to their individual care needs. 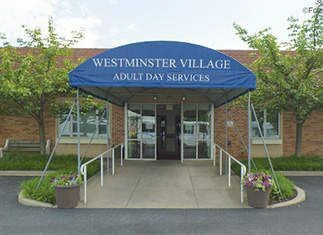 Come discover the Adult Day Services at Westminster Village for yourself. Download our Asking the Right Questions worksheet to help you get started. Program features vary across levels of care. Your information is secure and will never be shared with others.